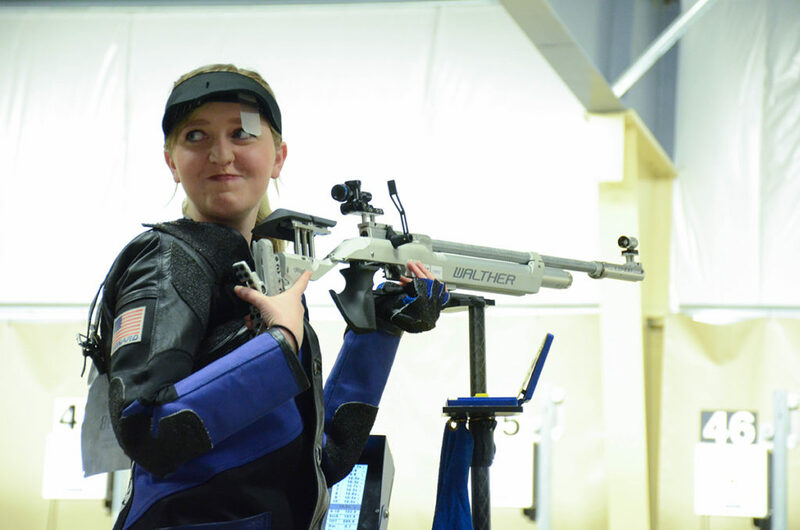 All eyes will be on Taylor Gibson at the upcoming National Civilian Marksmanship Program (CMP) Three-Position Air Rifle Championship as she attempts to do something she’s never done – claim the overall title. 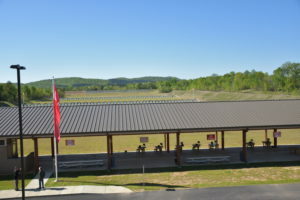 This year’s event, set to be fired June 21-26 at the Gary Anderson CMP Competition Center in Ohio, will be the 17-year-old’s third go-round at Nationals and would cap off an already incredible year for the junior precision air rifle competitor. 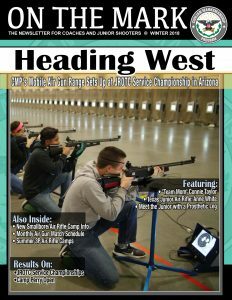 Taylor Gibson claimed the overall precision title at the 2018 JROTC National Championship in March and is hoping to repeat her performance at the 2018 CMP 3P Nationals in June. 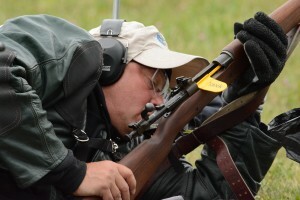 Taylor has accomplished a lot for only being involved in competition shooting for a little over four years. 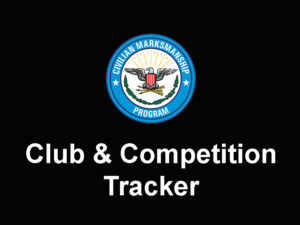 Though she has never won the CMP 3P Nationals, she’s proven to be a tough competitor in many realms. Outside of National competition, the North Salem High School (Salem, Oregon) student-athlete won the 2018 Cascade Mountains League March Cup Match Championship after overtaking the event leading up to the championship in November and December of 2017, as well as in January and February of 2018. Additionally, she earned second place in the 2017-2018 American Legion Postals after trailing by only one point. Taylor on the line at the 2017 JROTC Nationals in Anniston, when she won her second National Championship. Her first National Championship was in 2016 at the American Legion National Championship. 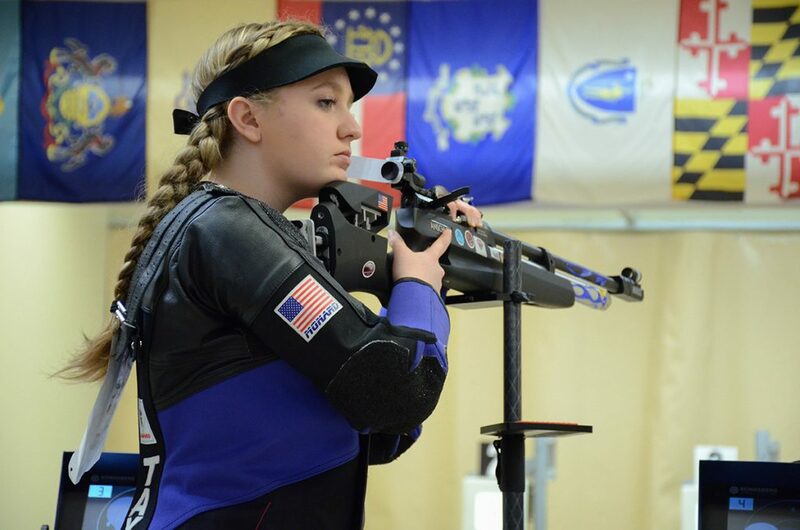 In 2018 alone (so far), Taylor was the highest scorer overall in the JROTC Postal Competition, she won the Army JROTC Regional Service Championship (where she not only fired the highest Army score, but the highest score of all of the Services), earned the championship title at JROTC Nationals and she was also the overall competitor at CMP 3P Regionals in Sandy, Utah – naturally giving herself the reputation as an intimidating force to other competitors hoping to grab the championship title. 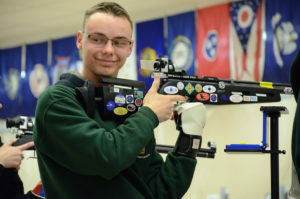 As if that weren’t impressive enough, Taylor also currently holds the Army JROTC Individual 3x20 National Record, the Army JROTC Individual 3x20 Plus Final record, the Army JROTC 20 Shots Kneeling record (set during the 2015 JROTC National Championship and tied again at the 2017 National Championship), the Junior Club Precision Final Score record and the American Legion Precision Final Score record. Behind the firing line through all of Taylor’s wins and insatiable talent is her support – her North Salem teammates, her coach and her family. And they will be there to cheer her on as she goes for the win in June. Her coach, 1SG Jim Wagner, says Taylor makes his job easy. 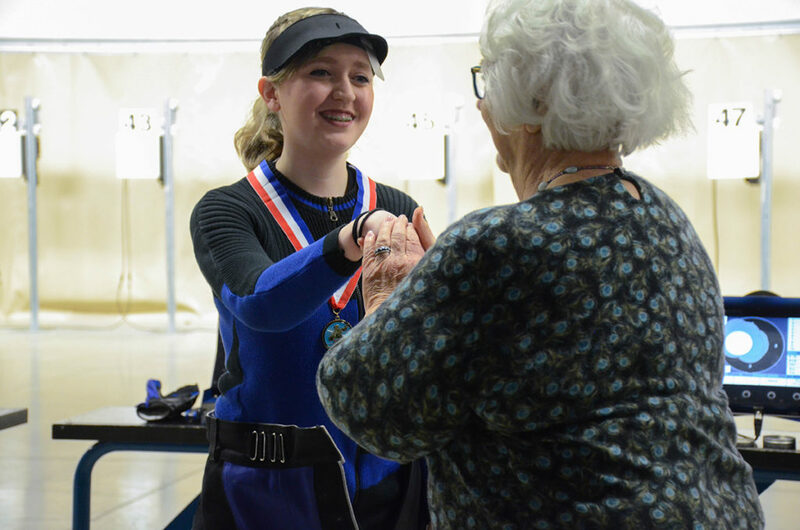 “All I can say is, it’s been unimaginable – what has happened in the last four years,” gushed her proud dad, Rob, following her second JROTC Nationals win in March. 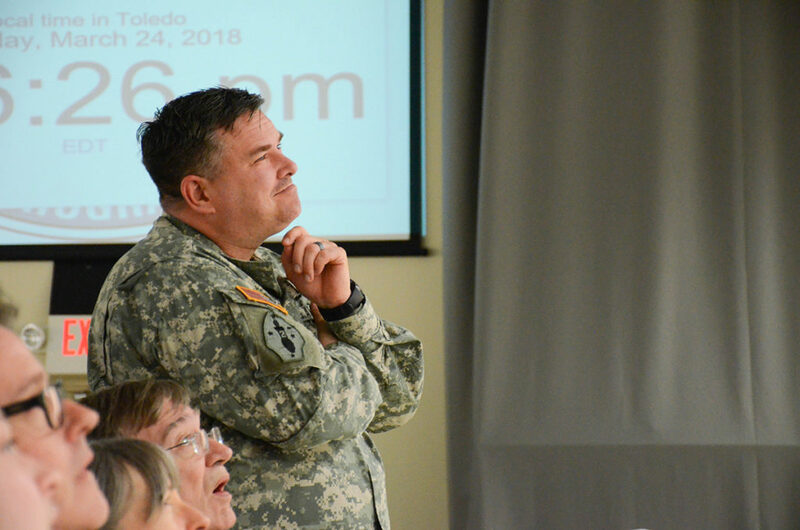 According to Rob, Taylor has worked hard for what she has earned, practicing six days a week between her high school JROTC team and her club team. From the beginning, her family has been all-in, completely involved in Taylor’s interest. Rob and Taylor’s mom, Sarah, have been fully supportive of their daughter (their oldest of three), with one or the other traveling to each event – some held across the country. 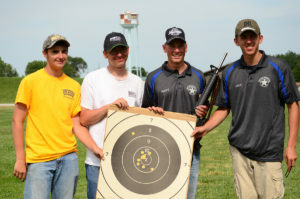 Taylor also won the 2018 CMP 3P Regional competition for the precision class. Through Taylor’s competitions, the family has been able to trek the country and stumble across so many interesting things, like Thomas Edison’s birthplace in Milan, Ohio, that they found accidentally while driving around. “I think it’s really good for a kid to get that sort of exposure – getting to see different parts of the country and just being involved in something like this. It’s pretty awesome,” he added. 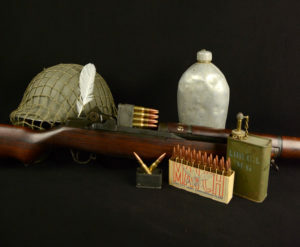 The Gibson family knew nothing about the air rifle world until Taylor became involved. 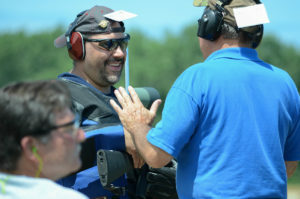 She started on a club team at a local gun club before she unexpectedly got involved scholastically. 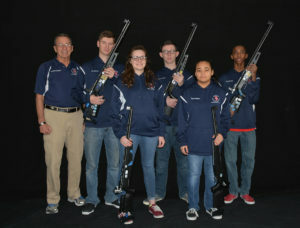 He soon did, and shortly after, she began shooting with the high school team, as an eighth grader. Wagner was quickly captivated by Taylor’s skills as well as her sensible personality. Along with talent, Taylor has been granted a strong support team that always stands behind her. After seeing her operate in practice, he knew he needed to get her out into some real-life competition. 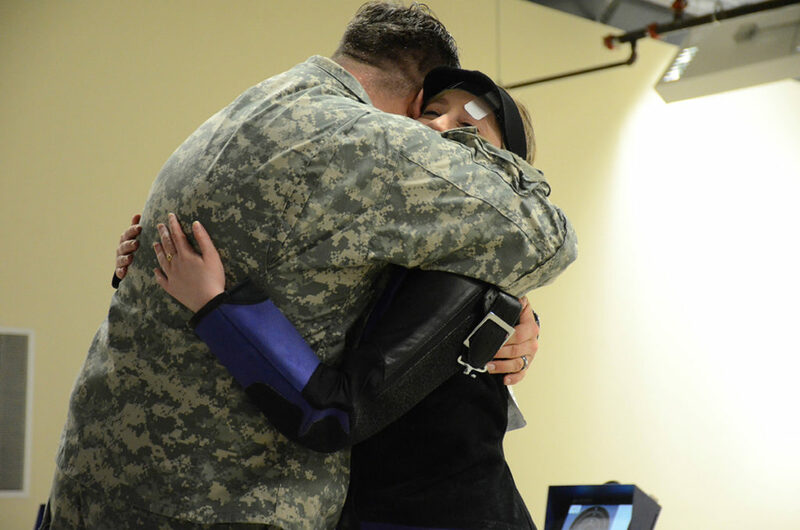 When it came time for his team to travel to the JROTC Regional Service Championship in Phoenix, he was eager to take Taylor with him. He took a glance at the rulebooks and didn’t see anything about an eighth grader not being able to compete, so he brought her along. Taylor is congratulated by CMP Chairman, Judy Legerski, after her second JROTC National win in 2018. 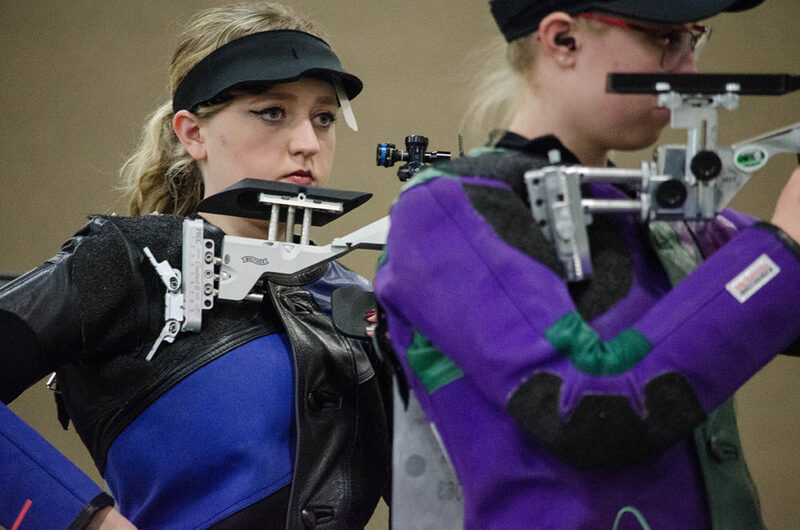 But, they let her go anyway, and Taylor finished high enough to qualify her for the JROTC National event at CMP’s South Range in Anniston, Ala. Her scores climbed and climbed during the time between Regionals and Anniston, and when it came to perform on the National stage, Taylor excelled under the pressure – earning second place by only 0.12 of a point to the winner. According to Wagner, Taylor has become a sort of celebrity on the range from her incredible successes in a short period of time. 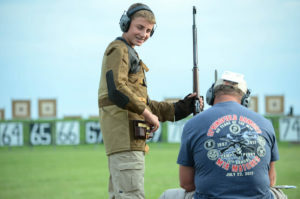 At the JROTC National event, a sporter competitor stood behind Taylor as she competed in the finals – taking notes and even snapping a few quick photos. From the time he took on Taylor as a competitor, Wagner says that he doesn’t actually coach her, but more steers her in the right direction. He said she knows the technical aspects of the sport and is equipped with the mental preparation for the game – all he has to do is sit back and watch. 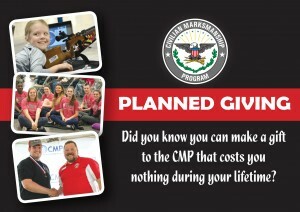 But before Tokyo, Taylor will have her sights set on the CMP 3P Nationals and three-peating her JROTC Nationals title during her senior year in 2019. It’s been a whirlwind journey for Taylor and the Gibson family, who have been there with her from the beginning and plan to be right by her side, or, rather, watching her behind the firing line, through it all. “I’m very, very, very proud of her,” Rob said with a smile.